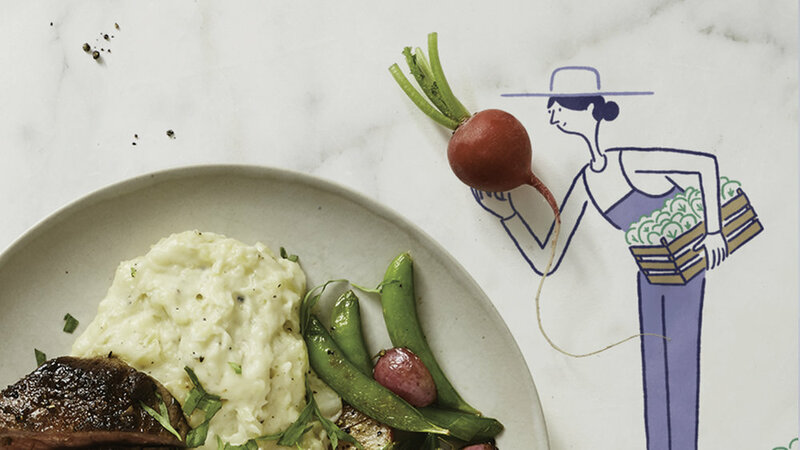 With Blue Apron, any night of the week is a chance to make much more than just dinner. The food system in America may be irreparably broken. So instead of trying to work within it, Blue Apron decided to build their very own food system, from the ground up. In this campaign, we took on the task of communicating an incredibly complex subject in a simple, approachable way. We assembled a similarly complex cross-disciplinary team—spanning illustration, 3D animation, food experts and designers—to bring Blue Apron’s food system to life in TV, print, digital and packaging design. See if you can spot the references to soil health, crop rotation, Integrated Pest Management and healthy riparian buffers. Set against the background of a real life kitchen, this animated spot tells the story of how Blue Apron wiped the slate clean and built a food system that benefits farmers, consumers and the planet. Additional spots in the campaign show the ways that Blue Apron is working to improve standards for farmers, meat and seafood. We extended the look of the campaign across all of Blue Apron's communication channels, from digital and social to print and direct mail. We even redesigned the ubiquitous Blue Apron box, which arrived on millions of doorsteps across the country throughout the duration of the campaign.